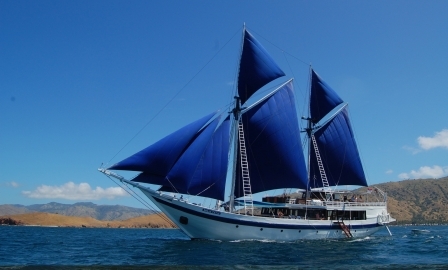 In November 2012, ‘Herbie’ and Liz Hemphill the owners of Herbie’s Spices and Ian Burnet the author of the book Spice Islands, together with 20 other like minded individuals voyaged around Maluku and the Spice Islands of the Indonesian archipelago on the vessel Ombak Putih for 12 days. 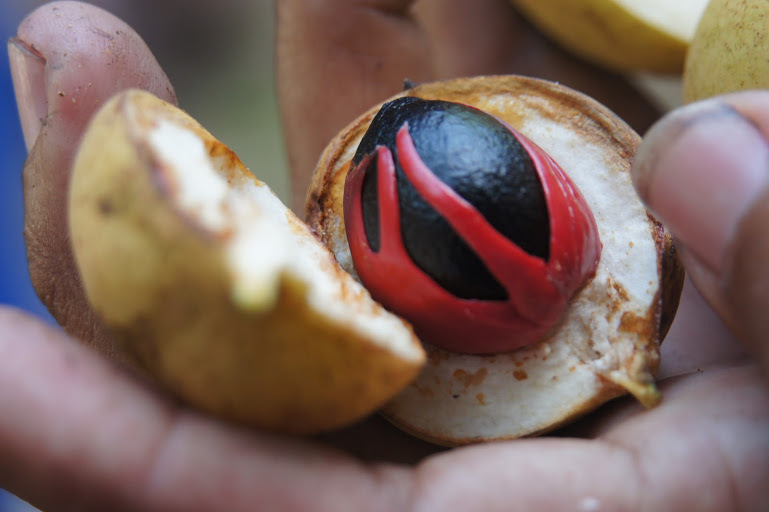 Nutmeg originally only grew on the remote Banda Islands and here we visit the nutmeg plantations. ‘Herbie’ describes how nutmeg and mace are grown and harvested, and Ian Burnet explains about the history of the spice trade. Cloves originally only grew on the islands of Ternate, Tidore, Motir, Makian and Bacan. 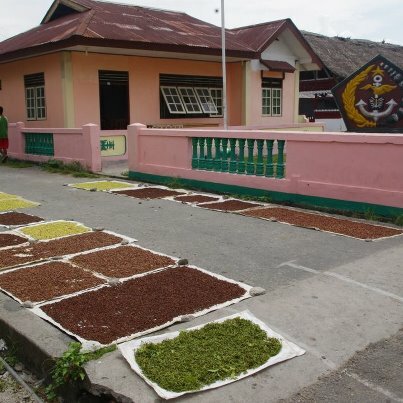 ‘Herbie’ describes how they are grown, harvested and dried until they finish up in our spice cupboard at home. 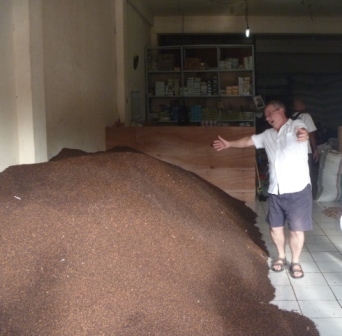 Our voyage on the Ombak Putih finishes on the island of Ternate where we were able to visit the Sultan’s Palace and tour the island, and where ‘Herbie’ discovered a mountain of dried cloves in a spice exporter’s warehouse. 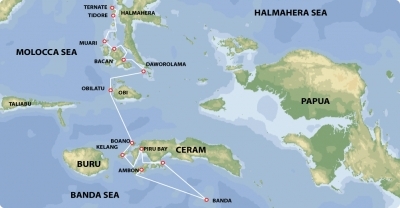 This entry was posted in Uncategorized and tagged banda, dutch east indies, herbies, herbies spices, ian burnet, ian hemphill, maluku, moluccas, ombak putih, seatrekbali, spice islands, ternate, VOC. Bookmark the permalink.